Designed for the Haines studio in 1951, the Bel-Air sofa exemplifies the essence of the Haines look - restrained modernism and glamorous scale. 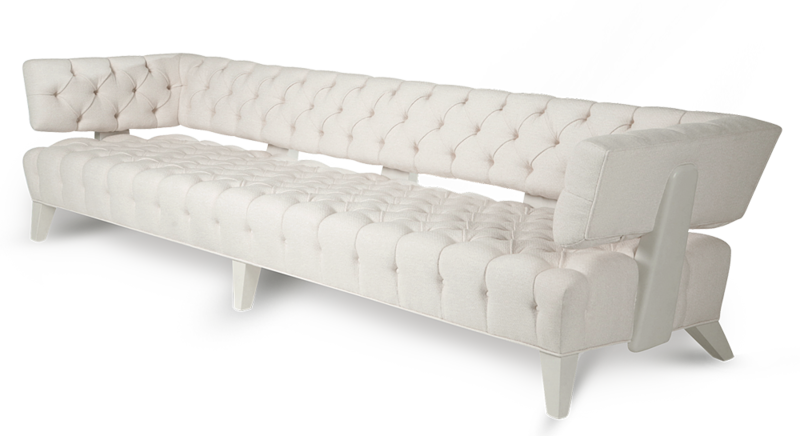 The back supports and legs are wrapped in leather and frame the deeply tufted upholstery. 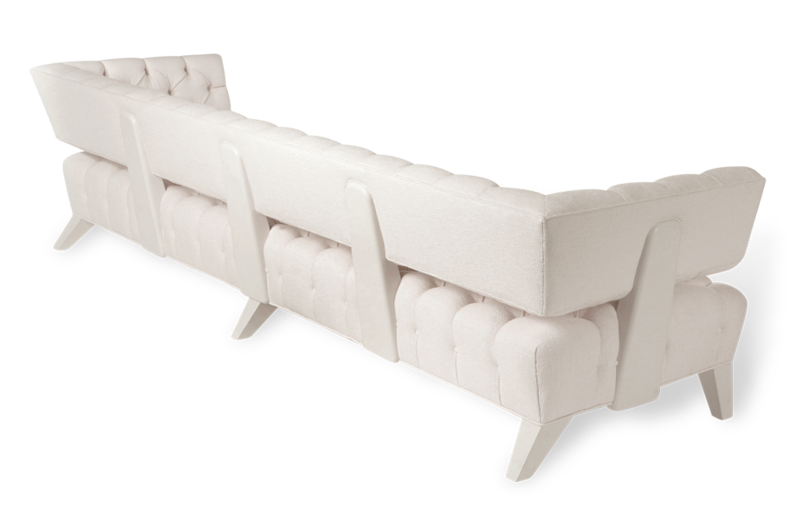 Originally made ten feet wide, the sofa is available in custom sizes. Contact us for pricing. Courtesy to the trade.